Quick: Pick one of these colours. Just the first one that catches your eye, don’t overthink it. Now pick a number between zero and nine. Got it? 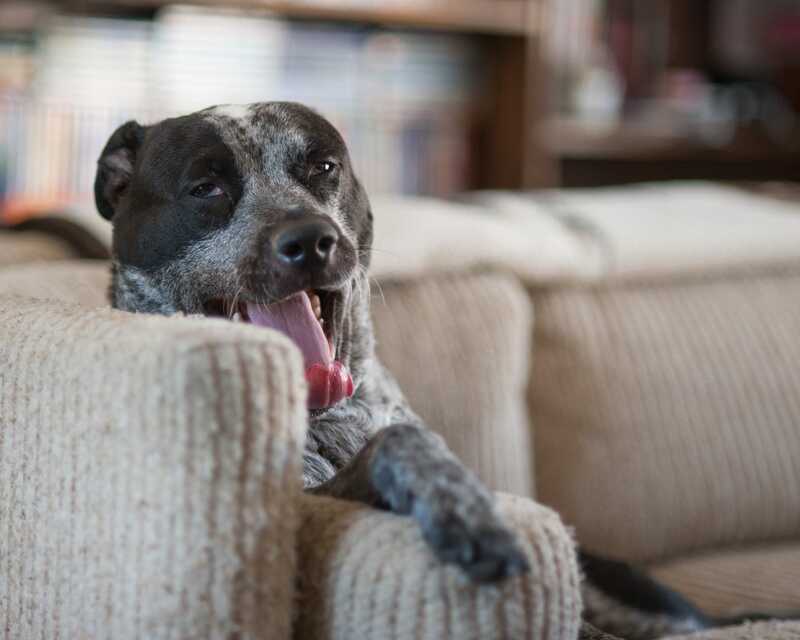 Good, now scroll past this photo of a dog yawning. If I were a betting man, I’d bet you picked blue and seven. Not everyone makes those choices, but enough people do that it’s a bona-fide psychological phenomenon. It’s even got its own name: the blue-seven phenomenon (Psychologists are a literal bunch). Study after study since the 1970s has shown that people across cultures and time tend to disproportionately prefer blue and seven when asked to pick at random. Red tends to be a second favourite colour, as well as white in East Asia. When people don’t pick seven, they still tend to go with an odd number, like one, three, or five. There isn’t a good universal explanation for why exactly people tend to choose these colours, but researchers have some guesses. In a 2015 review of the available literature on the blue-seven phenomenon, Miho Saito noted that seven is a lucky number in many cultures, and blue is rarely taboo. Of course, it’s difficult to know whether that’s a cause or a product of the blue-seven phenomenon – or whether it’s a bit of both. Saito writes that, when asked, people tend to explain their favourite colours and numbers as “pleasant”, “beautiful”, and “bright”. Often they have some specific cultural significance; men say they choose one, because they like being number one; Japanese Shinto priests wear white robes associated with purity. But it’s still unclear whether the underlying feelings are innate to the way our minds work, or the product of emergent cultural forces. Maito writes that a lot more work has to be done before science can answer that question.